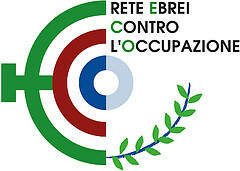 Rete Eco - Time for acting out and time for resistance ! Europeans were also surprised by the extent of the popular response bringing together Muslims and activists from Black Lives Matter, Hispanic and Jewish progressists from Jewish Voice for Peace. For many American demonstrators, the question of Palestine and that of the closing of the border need to be linked: « From Palestine to Mexico, all walls have to go ». Acting out took a tragic turn with the terrorist attack against the mosque in the city of Quebec on January 29th. Stimulated by his enthusiasm for Donald Trump, by the visit to Canada of Marine Le Pen and by his admiration for the Israeli army, Alexandre Bissonnette, an ultranationalist, organized and conducted a terrorist attack at the end of prayer at the Quebec mosque, killing six and wounding eight. Prime Minister Trudeau spoke of a “terrorist attack”. A political courage at low cost which makes any European dream. We take note of the weakness of reactions to this form of terrorism by European governmental institutions and big media. We would have liked that it be spoken about Karim Hassane, 41 years old, computer analyst originally from Algeria, about Azzedine Soufiane, 57 years old, a shopkeeper of Moroccan descent, about Aboubaker Thabti, 44 years old, of Tunisian origin, who worked in the field of pharmacy, about Mamadou Tanou Barry, 39 years old, accountant, about Ibrahima Barry, 39 years old, employee, both of Guinean origin, and about Khaled Belkacemi , 60 years old, professor and researcher at Laval University, of Algerian descent. The following organizations, members of EJJP (European Jews for a Just Peace) rise against the deliberate under-estimation of those crimes by the big European media and state their solidarity with the victims of xenophobic policies and islamophobe hate crimes. If time has come for racists to take action, time has come for us for solidary resistance in Europe and in North America.